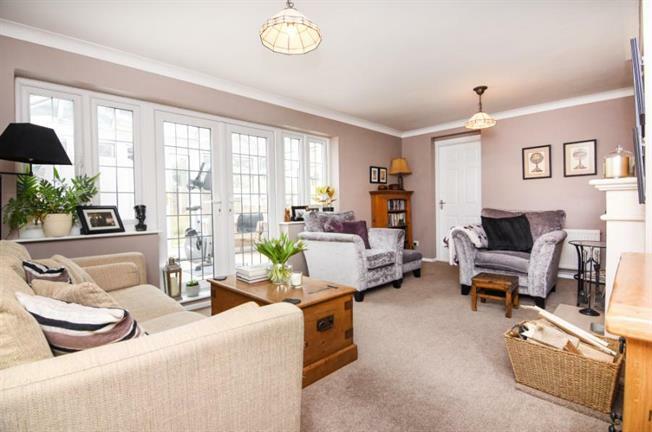 4 Bedroom Detached House For Sale in Brentwood for £600,000. Wonderful modern family home ready to move straight into. This four bedroom detached house is convenient for Shenfield and Billericay and has a host of fine features. As you park the car on your driveway you will so pleased to be home again after a busy day at work. It's not far from Shenfield if you need a station for the daily commute and Billericay is a short drive if you want a night out. Inside the property has that spacious feel throughout. The open kitchen/dining area is a lovely space and ideal for cooking your favourite meals on the weekend. You can entertain and show off your new home to friends and family. The lounge area to the rear of the property provides a cosy but spacious feel and when the winter draws in the log burner will make this room even more inviting. The property also has a downstairs bedroom with it very own en-suite shower room. This is perfect for any relatives staying or even one of the grown up kids. You will also find you can access the garage from the kitchen, great for extra storage and keeping the wood to hand for the burner. Lastly don't forget the conservatory that overlooks the garden. Just think of the summer ahead relaxing in the summer sun. This wonderful house could be your dream home so book your viewing now!! !